The development of the IMPETUS Afea Solver has been contributed to and supported by several different sources, such as local and national R&D funding assistance, as well as international schemes. The Competence Development Fund of Southern Norway (CDFSN) is organized as a public foundation and was created on 27 September 2000 by the fifteen local authorities of the county of Vest-Agder. The foundation’s articles of association stipulate that CDFSN shall serve the inhabitants of Vest-Agder in the long term by helping to raise the level of competence in the county in order to secure and create jobs and good living conditions. Competence here means the ability to establish and utilize knowledge for practical purposes. The aim of the foundation is to contribute to the development of the University of Southern Norway. The SR-Bank Næringsstiftelse is a foundation established by Sparebank SR-Bank, which is a regional bank covering the Rogaland and Agder counties of Norway. The foundation’s aim is to stimulate local growth by supporting innovative business ideas. Norwegian enterprises have access to a broad business support system as well as financial means. Innovation Norway provides competence, advisory services, promotional services and network services. The marketing of Norway as a tourist destination is also considered one of the organization's important tasks. 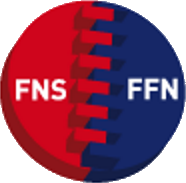 The French-Norwegian Foundation promotes long-lasting French/Norwegian cooperation through the financing of joint R&D projects in which both industry and research institutes/universities are involved with the aim of creating cooperation lasting beyond the project period. 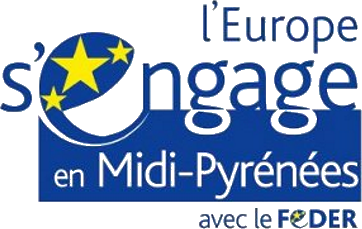 Eurostars Programme is a European Joint Programme dedicated to the R&D performing SMEs, and co-funded by the European Communities and 33 EUREKA member countries. Eurostars aims to stimulate these SMEs to lead international collaborative research and innovation projects by easing access to support and funding. It is fine-tuned to focus on the needs of SMEs, and specifically targets the development of new products, processes and services and the access to transnational and international markets. Through this joint Programme, based on Article 185 of the Lisbon Treaty, Eurostars aims to combine the best of two worlds with a bottom-up approach, a central submission and evaluation process, and synchronized national funding in 33 countries. Bpifrance is a French finance and business development group. It includes OSEO, CDC Entreprises, and FSI and FSI Regions in France. Their particular responsibility is to assist small and medium size enterprises by offering financial solutions at each stage of the company's business life.